I've wanted to grow potatoes in a tower for some time now. 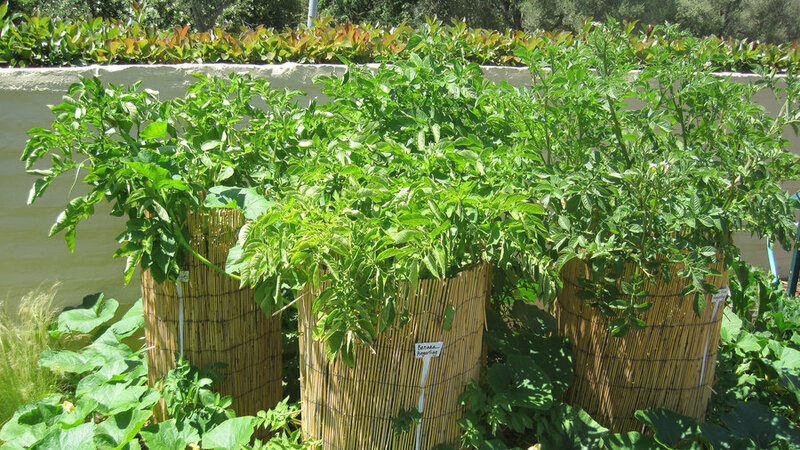 It saves space by getting the crop to grow up rather than sprawling out in the ground. Here's how it works: The plant grows and its stem lengthens, as do the underground stolons from which the tubers grow. Give the stem more height to grow and it will, increasing the space for stolons and thus tubers. 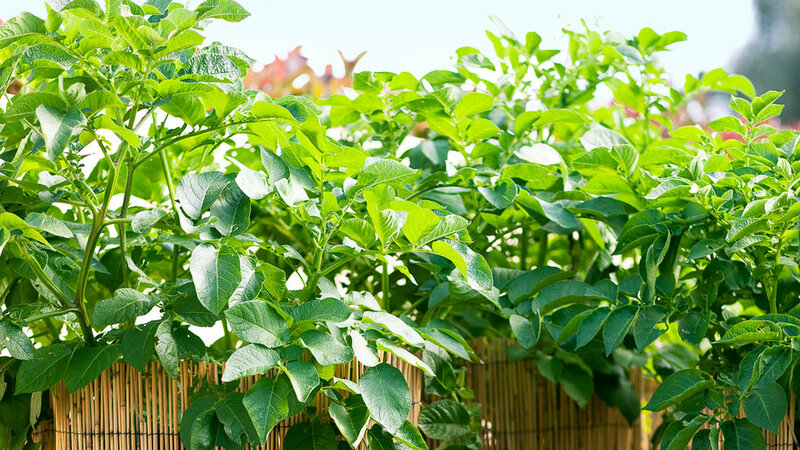 Click ahead to see our project unfold — and how you can make these simple potato towers, too. 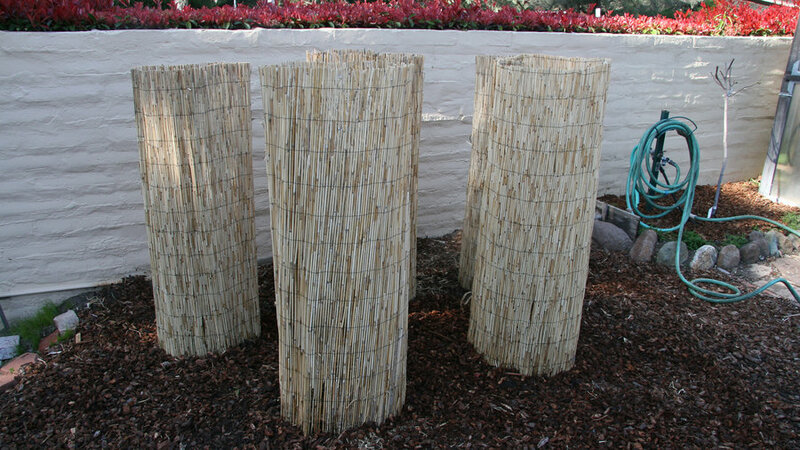 March 13 — I snagged a bunch of reed screening from the nearest Home Depot and chopped it into smaller sizes (it came 12' tall!). I found that I needed to wrap it around last year's tomato cages to give it some shape. 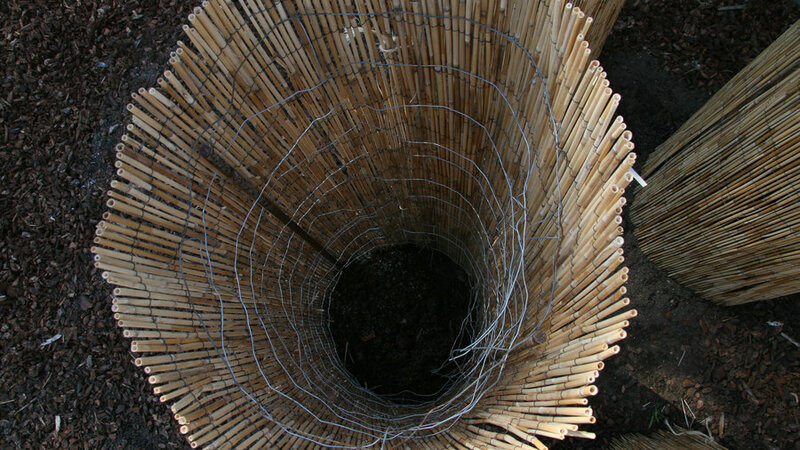 Rebar stakes secure the cages to the ground. 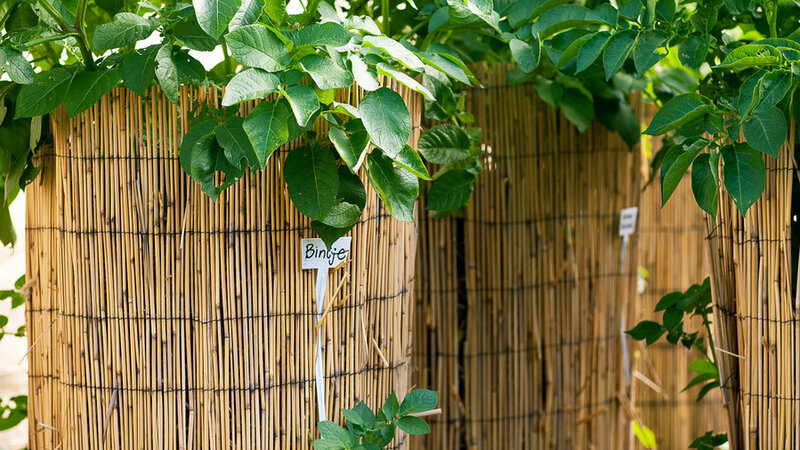 Growing potatoes in these towers requires no digging. You can reach in to grab new potatoes, or you can wait until the crop is mature, undo the tower, and watch your potatoes tumble out. The yield is supposedly two to three times greater than growing them in the ground. I built five of them. Are they too tall? I'm suddenly worried that I'm being too optimistic about their growth. In each tower, I planted a single layer of seed potatoes. Each has its own variety: Bintje, German Butterball, Yellow Finn, Banana Fingerlings, and Rose Finn Fingerlings. The varieties came from Full Belly Farm — their potatoes have a very high reputation in our test kitchen — and Darryl Wong from Free Wheelin Farm. 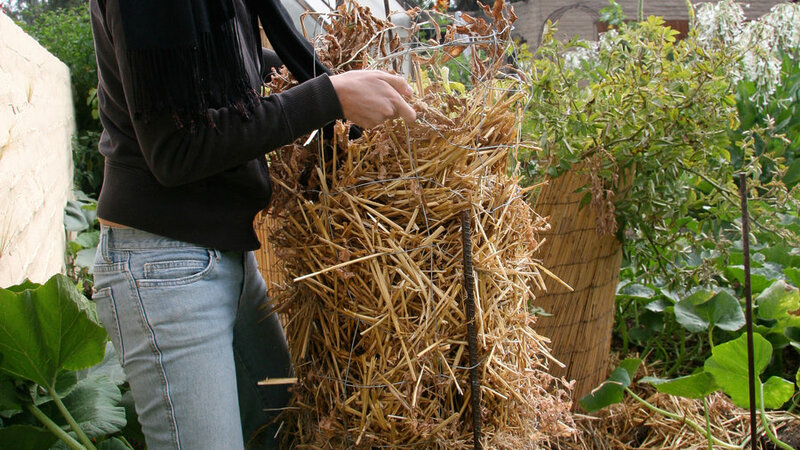 I topped them off with a few inches of compost and rice straw from old straw wattles (great because it won't sprout). And that's it! 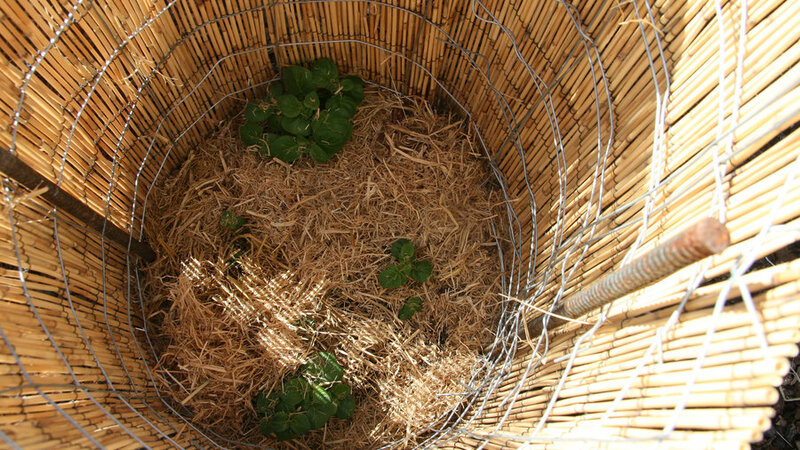 As the vines grew taller, I simply topped them off with more rice straw for the tubers to grow in. 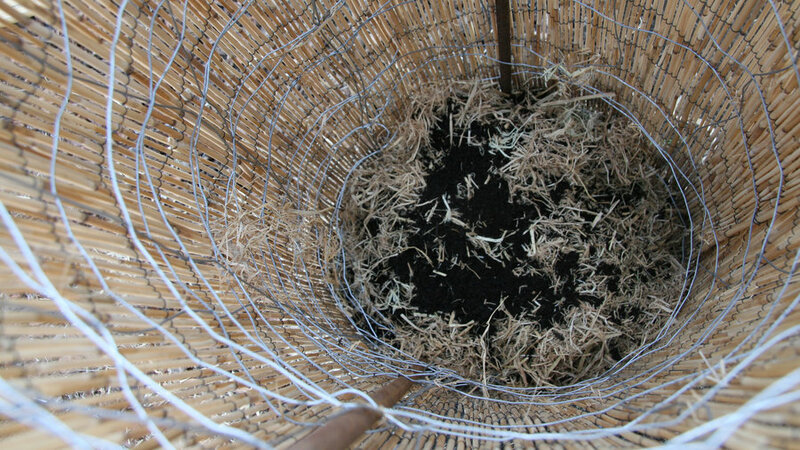 That's right: After that first topping off with compost and straw, I added no more soil. April 11 — Though I can't say for sure how the entire potato-tower experiment will go, I can breathe my first sigh of relief. I see green. It seems no matter now many seeds I plant, I'm always surprised at the magic of germination. Is anyone with me? June 2 — It feels like they shot up overnight. I've been keeping up with topping off the vines with more straw (and only straw) as they grow, and I've been consistent about watering. 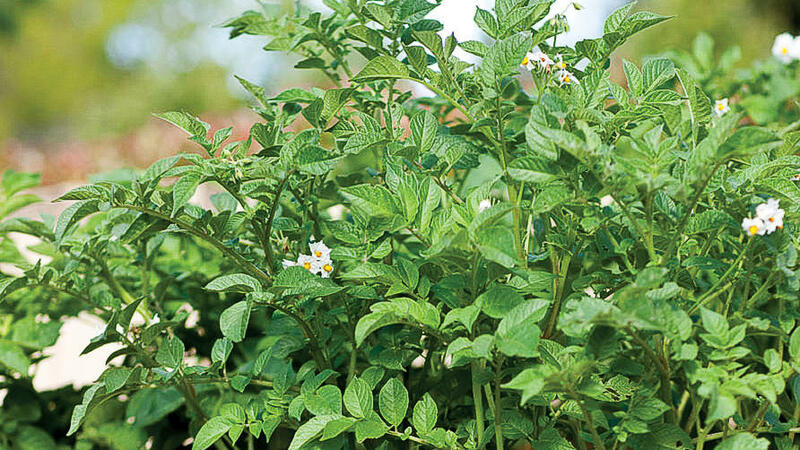 June 2 — They're flowering now, which means that potato formation isn't far off. My fingers are crossed that there will actually be pounds upon pounds of delicious spuds inside those lush towers. 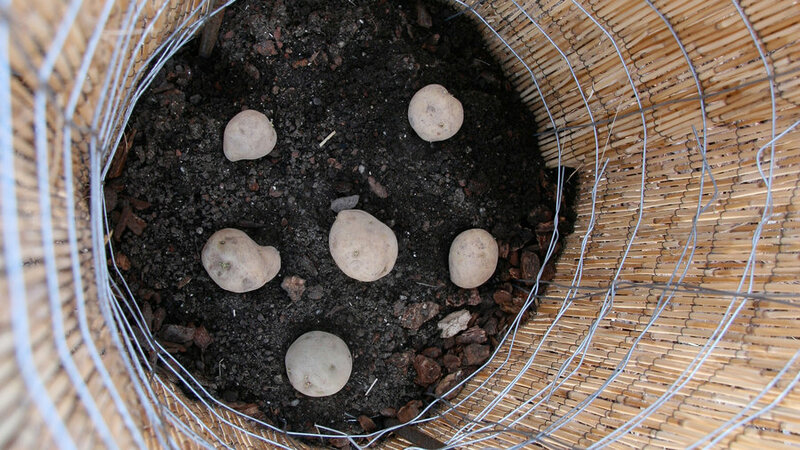 See what happens next: Follow Johanna's potato tower experiment in Fresh Dirt (our garden blog). June 25 — They're massive. They've flowered, and a few have fruited. It's approaching the time for me to dig my hands in there and harvest a few new potatoes (potatoes with flaky skin). I'll cut the water and let the plant die if I like the size. This gets the potatoes to suberize. Otherwise, I'll water for a few more weeks to keep the spuds growing bigger. Harvest won't be as much of a cinch as I was expecting, seeing as the nearby squash have made access to the towers a bit of an obstacle course. August 7 — The potato plants are dead, and I’ve let them sit for a few weeks while they suberize, meaning the skins harden, giving potatoes their special storing power. I unwrapped the bamboo screening, and lifted up the cage. It’s a cinch! And sure enough, potatoes fell out the bottom.